Success as an entrepreneur starts with splitting your business and private finances, as any tax consultant will tell you. 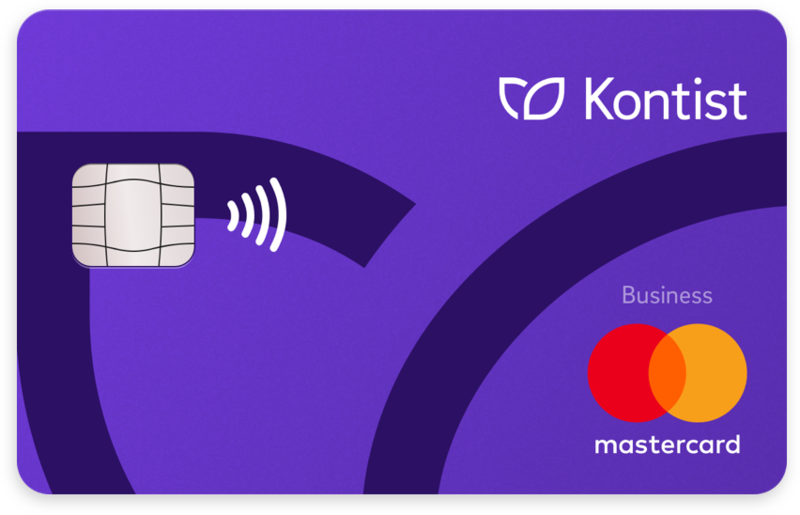 For your business spending, there’s the Kontist Mastercard. As an independent entrepreneur you’re probably not a fan of limitations. So we offer you a card that’s happily accepted all over the world. With the Kontist Mastercard Business Debit you can pay almost anywhere in Germany and beyond. Of course also contactless and online. Keep your business expenses in check with ease with the Kontist Mastercard Business Debit. Card payments are deducted directly from your Kontist account and confirmed via real time push notifications. You’ll only spend as much as you have in your account - and avoid painful interest payments and unplanned loans. Individual payment limits help you to control your spending. The business card helps you to keep private and business expenses separate. Open your Kontist Business Bank Account for your own Mastercard Business Debit. The powerful union of the Kontist card and app does even more for you when connected to selected accounting tools. Expenses are tracked automatically and can be matched intuitively with the right receipts. That’s finance management made easy. 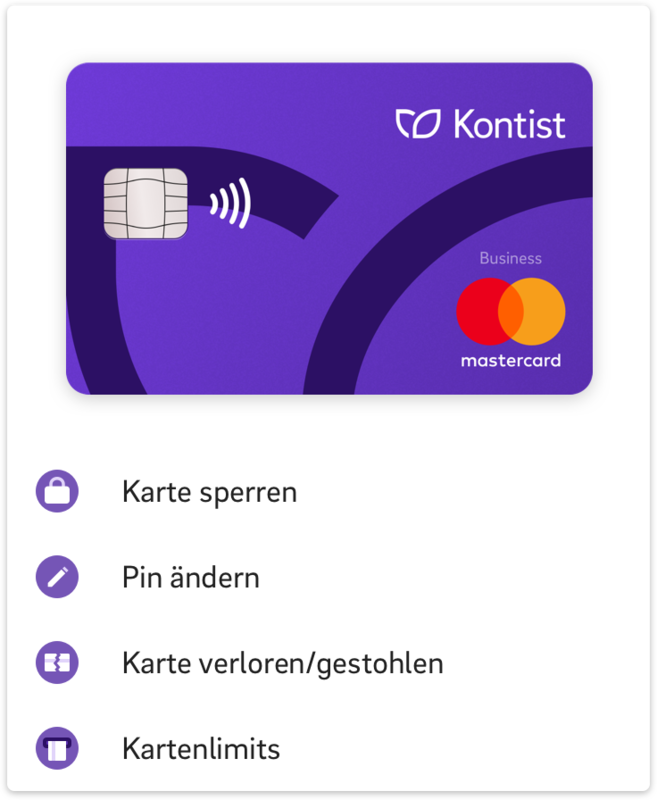 With the Kontist app you have full control over your card. Lock and unlock your card any moment or report it as stolen with a few taps. Change your card’s PIN or adjust spending limits as needed. Receive push notifications about every payment.